The Machine Gun Corps (MGC) Old Comrades’ Association is attempting to photograph all MGC graves and names on memorials. It is hoping to commemorate every MGC soldier who lost their life during World War I. The MGC Old Comrades’ Association can provide a list of graves and memorials it needs photographed. The MGC only existed for only eight years, but its Old Comrades’ Association still thrives many years after the unit ceased to exist and long after its last surviving member passed away. The regiment was a dangerous place in which to serve. 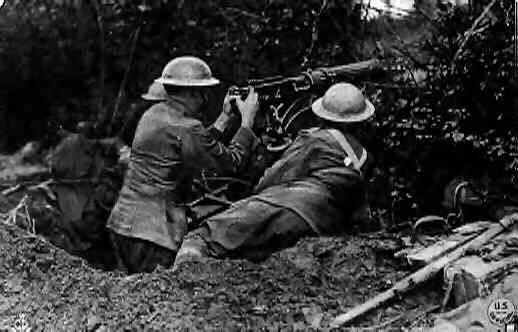 It was badly mauled during the spring offensive of 1918 as its members attempted to cover the retreat of other British troops and generally machine gunners were favoured targets of snipers. The MGC had the nickname of ‘The Suicide Club’ for good reason. Anybody with an interest in the MGC and World War I history can join the Association. Annual membership is £13 and available via the website, which can be visited here. This entry was posted in Events and tagged 1918, Machine Gun Corps, memorials, MGC, news, old comrades association, the Suicide Club. Bookmark the permalink. I have discovered my Grandfather served in the Machine Gun regiment. I was watching Time Team on TV the day that was at a sight in LIncolnshire of the training ground for the troops who were in the regiment.I believe Belton Army Camp. My Grandfather was a machine gunner.His name John William Unsworth .I also discovered his burial place .He died very young aged 26 from I understand the effects of being gassed. My Grandmother never spoke about him it is only just recently I discovered his death certificate in my fathers documents. I will be in the UK Sept this year and I would like to visit his grave hopefully it will still be there.